Users also prefer biometric authentication to remembering passwords or PINs, Unisys report finds. Biometric authentication has seen such an increase in adoption across the world that more consumers now trust the technology than ever before. A new survey from Unisys has revealed that 68 per cent of Europeans would trust organisations if they utilised biometrics for authentication, showing the importance of security to many everyday users. 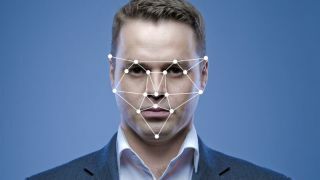 The company surveyed more than 3,500 consumers from the UK, Germany, Netherlands, Belgium, Spain, Switzerland and Italy to better understand the public's perception of biometrics and using their own biometric data to access online services. Unisys found that nearly seven in 10 European consumers would place a greater amount of trust in organisations if they used biometrics for authentication. The survey also revealed that tech-savvy consumers are ready for biometric authentication as a replacement for passwords or PINs which are often difficult to remember. Those surveyed cited security as their top reason for adopting biometrics and 52 per cent believed that the technology offers a more secure way of accessing their devices and other online services. 63 per cent said that they believed biometrics to be more secure than traditional PIN or password methods though 57 per cent said that fingerprint scanning is the most secure form of authentication. Many of the consumers who participated in the survey see the appeal of ditiching passwords with half of the opinion that biometrics would help them to avoid having to memorise passwords. Surprisingly, nine per cent said that biometrics was a “more fun” way of verifiying their idenity.